The sixteen essays in this book are by writers from diverse parts of the world recalling their experiences and emotions of what is meant by the concept of Home. 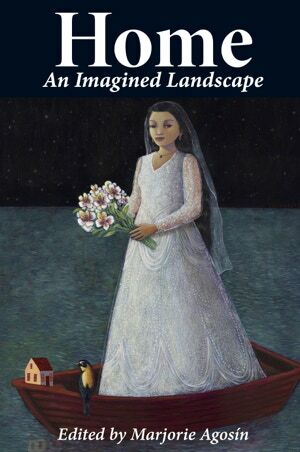 Each essay is written with evocative and often lyrical tones of great beauty as well as lucidity. Many of the essays describe homes that exist no longer, and homes that have changed or disappeared through time. Yet the power of place is real: each author understands that Home belongs to the landscape of the imagination, with a power to recover and to transform. It is perhaps no coincidence that all of the contributors make their home in the USA, a nation that has defined itself by its emigrant imagination and a nation that has allowed its immigrants to be Americans while also holding on to who they were in the past. Through their experiences, the authors are both outsiders and insiders. They carry their dreams of homeland wherever they settle, for Home is never lost but real in its evocation and the power to remember. Paperback, 9.2 inches × 6.1 inches; 234mm × 156mm; 224 pages. Also available from Solis Press: Stitching Resistance: Women, creativity, and the fiber arts.